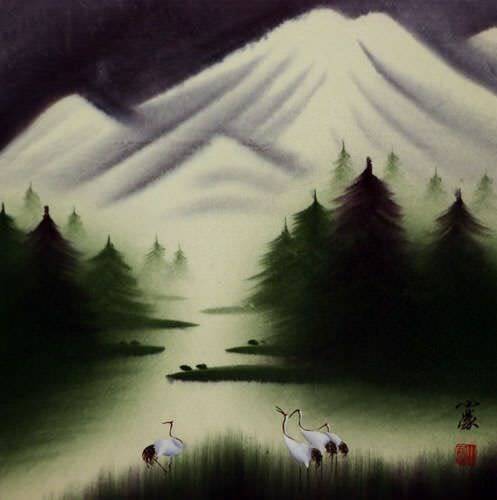 Buy Wisdom Chinese / Japanese Calligraphy Wall Scrolls! You need a Wisdom Wall Scroll? We'll build a quality custom Wisdom wall scroll for you at a discount price! 大智慧門 is the title for, "The Great Wisdom Door," or "The Gate to Great Wisdom." This refers to a portal to all wisdom and knowledge in Buddhism. 內智 is a Buddhist term that means, "inner wisdom." 衆智 is a Japanese word that means the wisdom of the many. 覺 can mean to feel; to figure out; thinking; awake; aware; bodhi; knowing; understanding; enlightenment; illumination; apprehend; perceive; realize. 覺 is a character that is impossible to define in a single word. This term is often associated with Buddhism where it's understood to be: Illumination, enlightenment, or awakening in regard to the real in contrast to the seeming. However, it can also refer to enlightenment in regard to morality and evil. In Japanese, this can be the personal name Satoru. In certain context, and only when pronounced as "jiao" in Chinese, it can refer to a nap, sleep or the state of sleeping. However, as a single character on a wall scroll, everyone will read this with the awareness or enlightenment context. By no means is this the only way to write enlightenment. In fact, you should only choose this character if you are looking more for a word meaning awareness. How could these be difficult for me? This is a suggestion that for a true scholar, all of these things come with ease. Tell somebody how to do something and they might get it. Show them how to do it and they will master it in no time. This can also be translated as "Behavior teaches more than words." You may learn when everything goes right but the lessons learned when everything goes wrong are more vivid and lead to long-lasting wisdom. Another way to look at this: One cannot always depend on past successes to guarantee future success but one can always learn from lessons drawn from failure. There are several ways to translate this ancient proverb. Translated literally and directly it says, "Open roll has/yields benefit." First, Chinese characters and language have deeper meanings that often are not spoken but are understood - especially with ancient text like this. Example: It's understood that the "benefit" referred to in this proverb is to the mind of the reader. Just the last character expresses that whole idea. 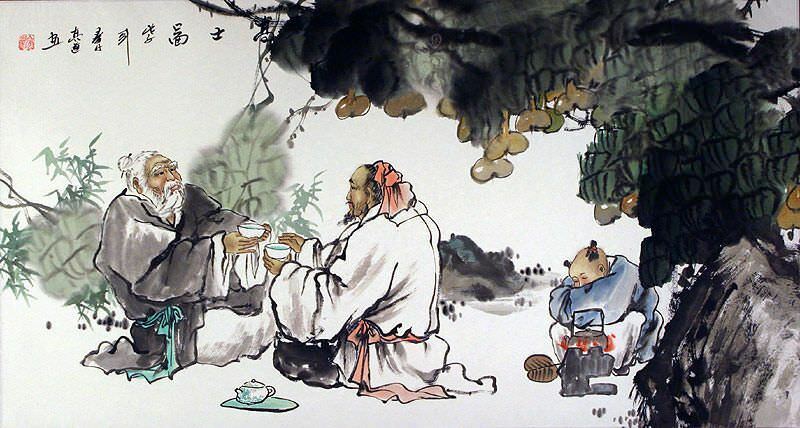 Second, Chinese proverbs are supposed to make you think, and leave a bit of mystery to figure out. Third, for this proverb, it should be noted that roll = book. When this proverb came about (about two thousand years ago) books were really rolls of bamboo slips strung together. 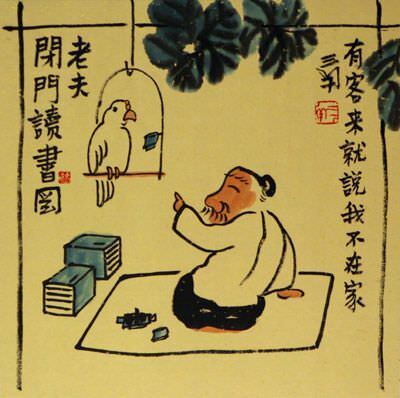 The first bound books like the ones we use today did not come about until about a thousand years after this proverb when they invented paper in China. 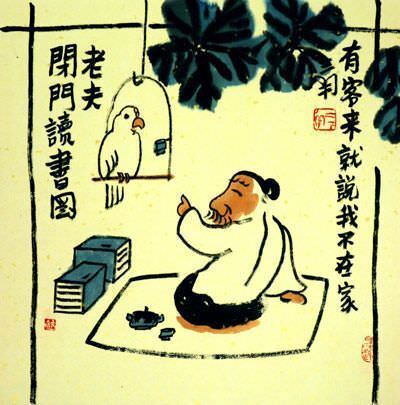 開卷有益 is a great gift for a bookworm who loves to read and increase their knowledge. Or for any friend that is or wants to be well-read. 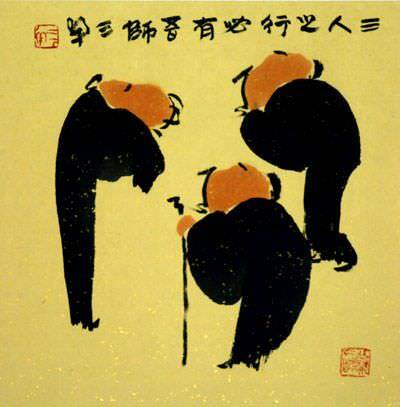 This literally means, "when three people meet, one becomes the teacher." 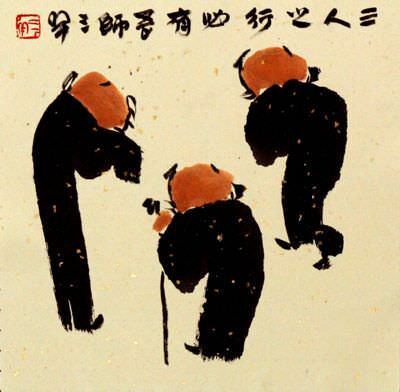 This famous Chinese philosophy suggests that when people come together, they can always learn from each other. One person must be the teacher and others learn. And in turn, the others become the teachers of the knowledge they posses. Publisher of books on ancient Chinese wisdom about health, well-being, relationships, and business. Basic Japanese with Waizu Sensei. I am a Japanese Freak who loves to speak and teach Japanese. 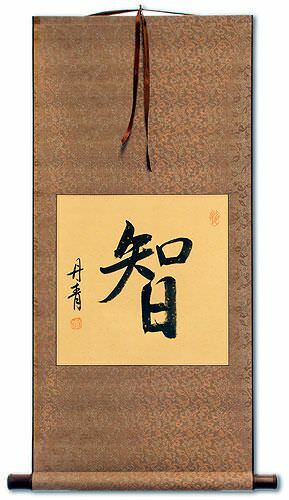 Royalty-Free Wisdom in Japanese Calligraphy by Master Japanese Calligrapher Eri ... designs of Wisdom (kenmei) by Master Japanese Calligrapher Eri Takase. They have many great features for podcast listeners. ...look into the world of Japanese Buddhism prior to the wholesale influence of Zen. ... for his previous book, Uncovering the Wisdom of the Heartmind. Japanese Kanji Images. Wisdom / Kenmei. wisdom. wise. advisable. kanji meanings : Ken = wise. ...and is mainly used to write word endings, known as okurigana in Japanese.